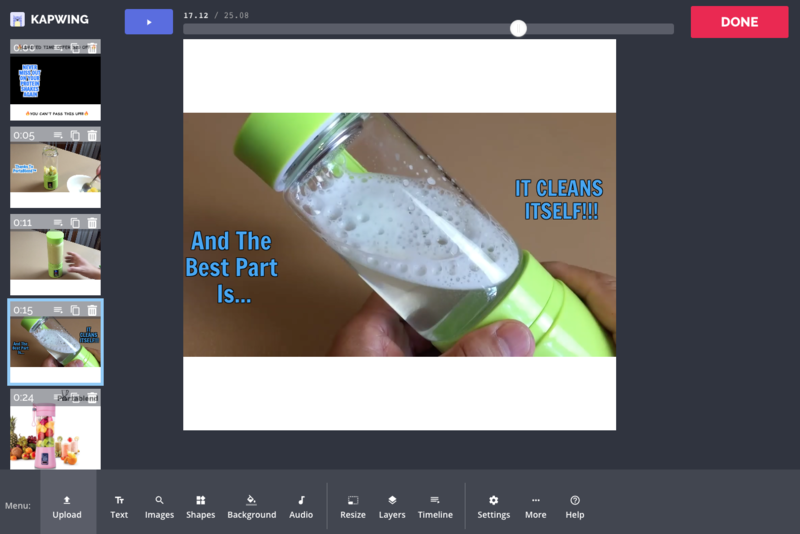 With Kapwing, you upload your MP4, make edits in the browser, and download the output video. There’s no registration required, and it works on phones, tablets, Chromebooks, and computers. 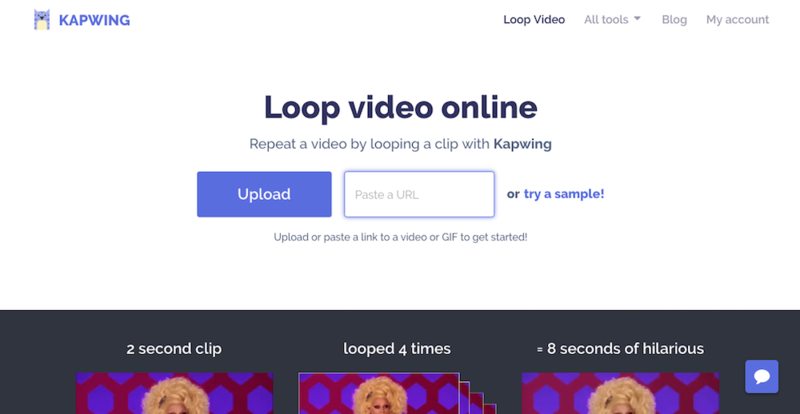 Kapwing is an excellent resource for making and sharing GIF, PNG, and MP4 files, especially for casual creators and beginners. After filming a video clip on your phone or downloading footage from YouTube, you may want to make small edits to your MP4 before sharing it with friends or publishing it on social media. 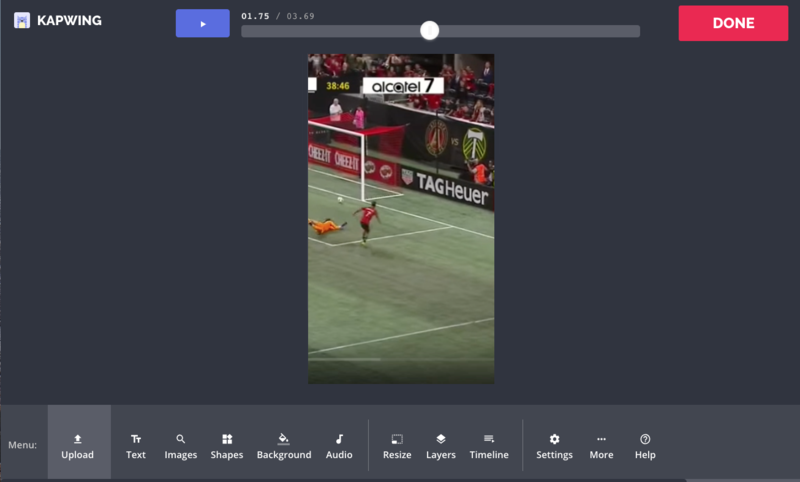 The below example shows someone editing a soccer highlight for their Instagram Story. Add a caption: Put a title or caption above the video or embed the text directly into the video. Kapwing has a library of text animations you can choose from. 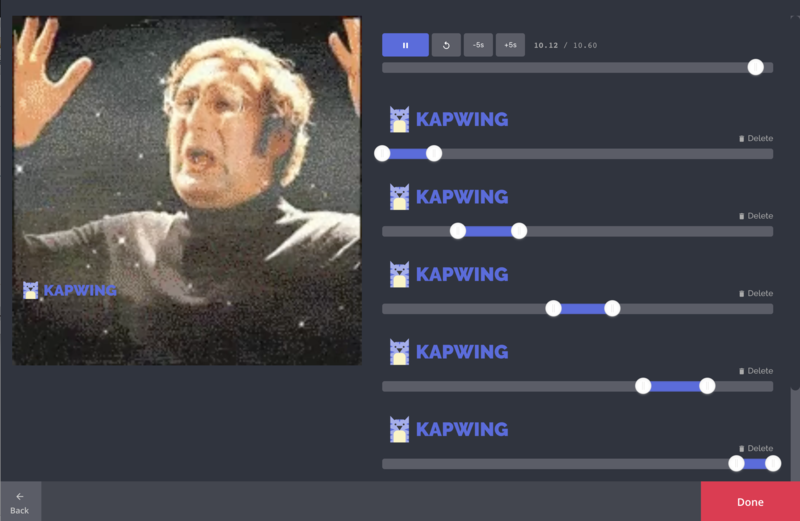 If the visual layout looks good but you want to make changes to the timing and tempo of your MP4, creators can use Kapwing to adjust the MP4’s Timeline. Here’s some of the amazing tools in Kapwing’s kit. Loop an MP4: Play your video clip multiple times in a row to make it longer. Change the Speed of an MP4: Make your video move faster or slower by increasing or decreasing the speed. Merge MP4s together: Bring multiple scenes into one video by adding scenes to the Studio. Unlike GIFs, MP4 files can support audio tracks and sound. If you want to make adjustments to the sound on your video or add a new soundtrack, Kapwing can help you create a new MP4 file. Change soundtrack: You can add a new song, voiceover, sound effect, or audio file to your MP4 in a few clicks using Kapwing’s Add Music tool. You can actually add music to a GIF by converting it to an MP4! Mute: Remove the sound from your MP4 [Mute Video Tool]. 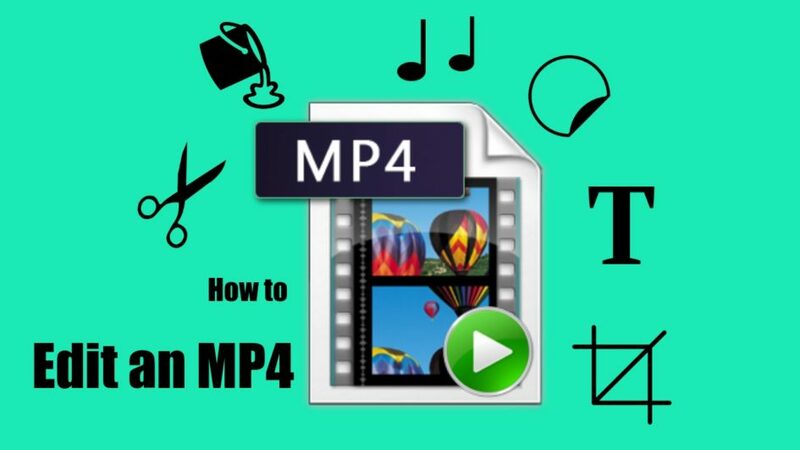 Convert an MP4 to an MP3: Make your video into an audio file or download music from YouTube, Instagram, or Facebook. Make an Audiogram: Use a podcast, song, or voice recording to make an Instagram video from the Studio. Kapwing is a fast and simple tool for making changes to MP4 files. Unlike other video editing programs, it has one-off tools optimized for certain tasks like adding subtitles. 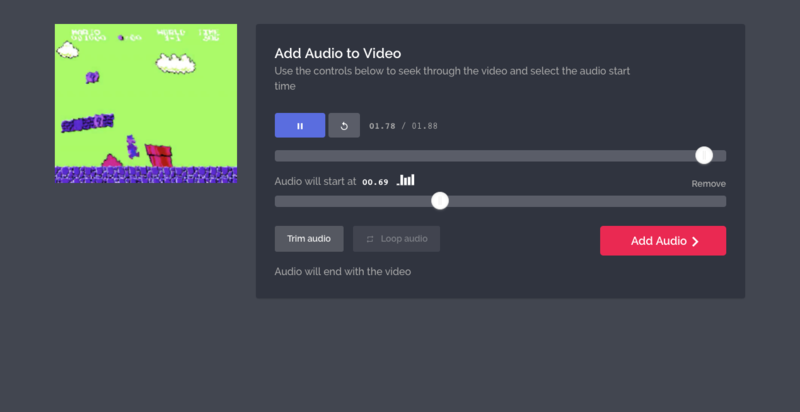 Because it’s accessible and designed for beginners, it’s a great video editor for classrooms and for Instagram videos. The website is free to use, but there will be a small Kapwing watermark on the output video. You can pay a small fee to remove it or subscribe to the Kapwing Pro plan for unlimited access to all of the tools. Thanks for reading, and good luck with your MP4 edits!